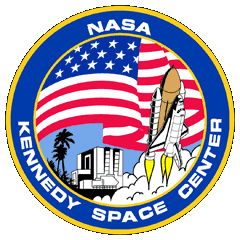 The US space program has seen many missions canceled due to budget limitations and unforeseen technical problems. 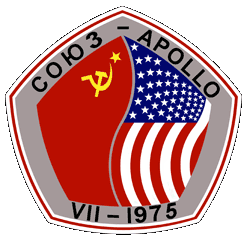 The last 3 Apollo Moon missions were canceled as NASA changed its priorities to the Apollo-Soyuz and Skylab programs. 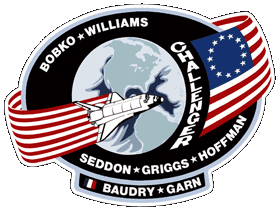 During the Space Shuttle program, many missions were canceled as a result of the Challenger and the Columbia disasters. 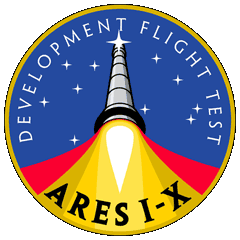 Many early Shuttle missions were canceled due to delays in the development of the spacecraft. 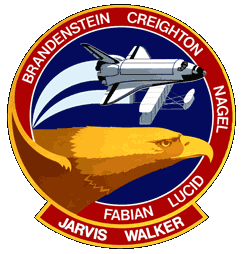 Other missions were canceled due to changes in payload and missions requirements. 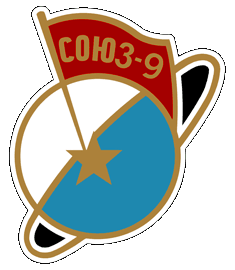 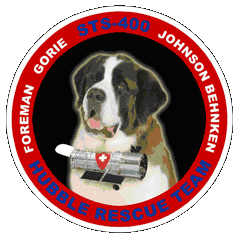 In many cases, mission patches had already been designed before the missions were canceled. 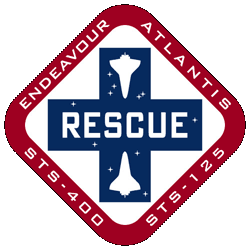 After the Columbia accident, NASA developed a contingency program for the shuttle. 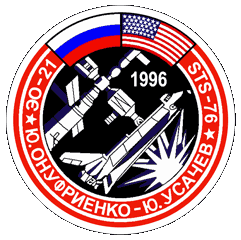 A second shuttle was kept in a ready condition to be launched on short notice in case the current mission became disabled and was not able to return to Earth. 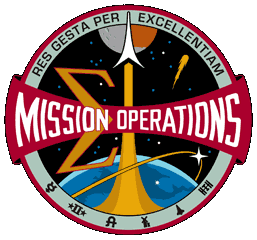 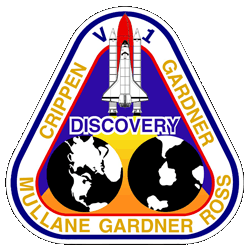 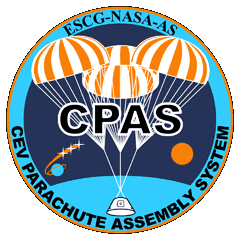 Some of these contingency missions created designs for mission patches, all though none were ever used during a mission into space. 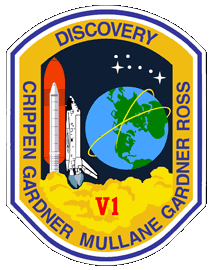 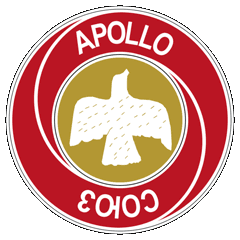 Many mission patch designs for canceled missions were lost or remain unpublished. 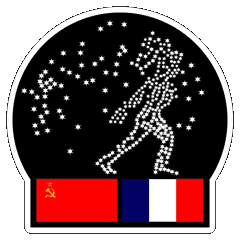 If more of these designs surface in the future, they will be posted here as they become available. 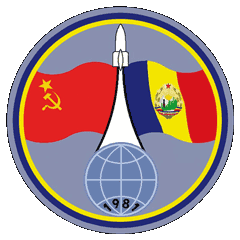 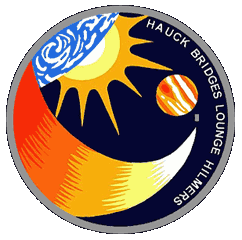 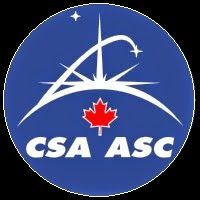 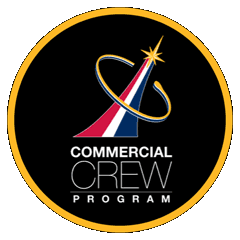 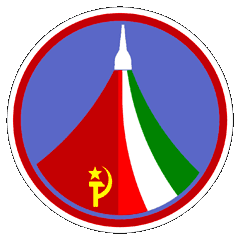 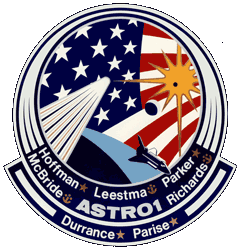 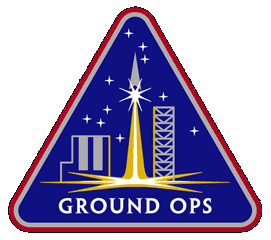 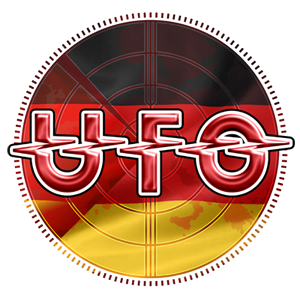 Space travel programs create their own unique program insignia graphics. 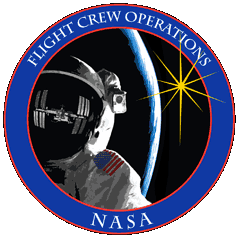 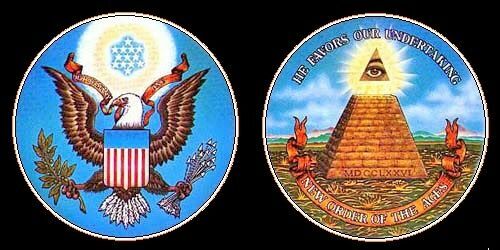 NASA in particular has a variety of insignia to support their various operations and offices. 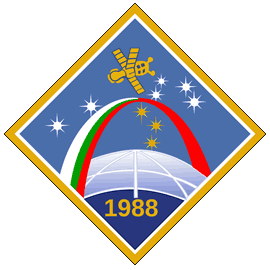 The main NASA logo most people are familiar is also known in the industry as the "meatball" logo. 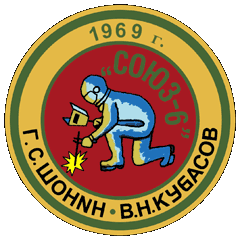 It was in 1959 and is still used today. 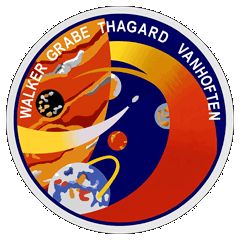 It is the official NASA insignia. 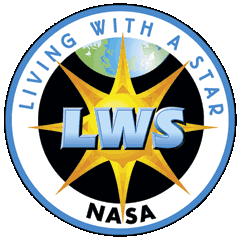 The NASA seal is reserved for use in connection with more formal and ceremonial events such as award presentations and press conferences. 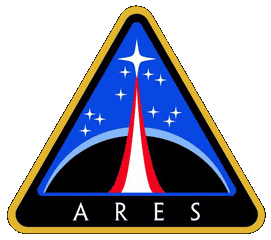 In In 1974, NASA attempted to design a more modern logo. 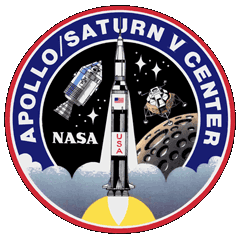 It consisted of a stylized rendering of the letters N-A-S-A. 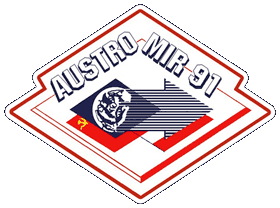 Known in the industry as the "worm" logo, it was retired from official use in 1992. 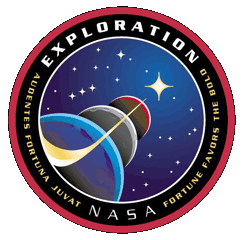 NASA has created insignia for its new upcoming space travel programs. 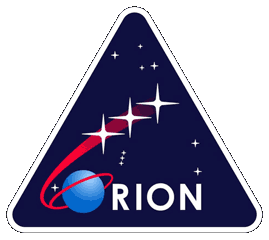 These include the Constellation program, and the Orion, Ares, and Altair spacecraft which are currently undergoing production and testing. 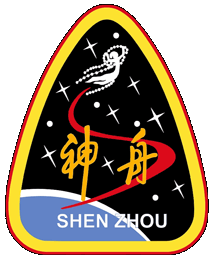 The Shenzhou program is a manned Chinese space program operated by the People's Republic of China. 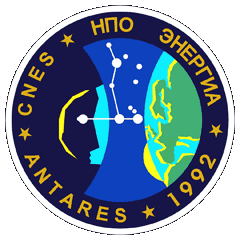 It is directed by the China National Space Administration (CNSA). 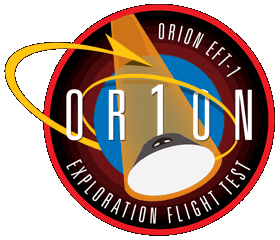 The first 4 unmanned test flights of the program took place in 1999, 2001 and 2002. 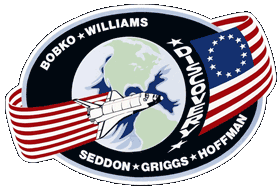 The first manned mission occurred on on October 15, 2003. 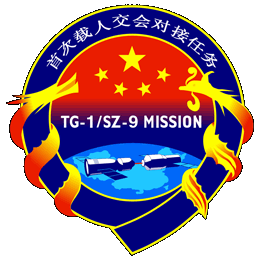 The Shenzhou 5 spacecraft carried Yang Liwei as the first Chinese citizen into orbit. 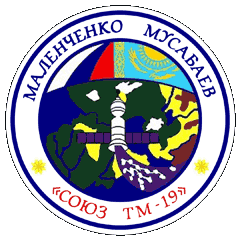 China's early space launches take place at the Jiuquan Satellite Launch Center located in the Gobi desert about 995 miles (1,600 km) from Beijing. 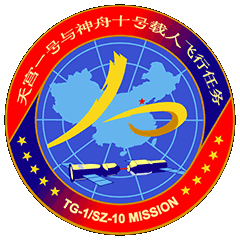 It is part of a complex known as Dongfeng space city. 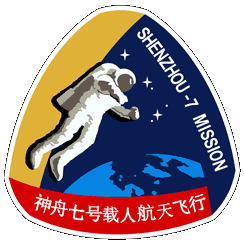 The Shenzhou 7 mission featured China's first space walk. 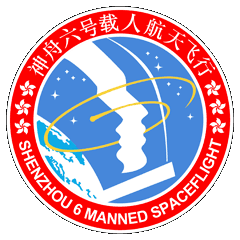 Zhai Zhigang, wearing a Chinese-developed Feitian space suit, conducted a 22-minute space walk. 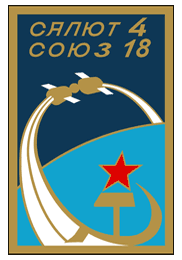 It was the first ever for a Chinese astronaut. 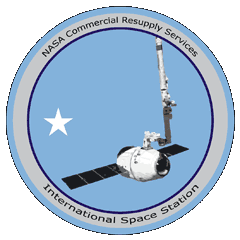 China is currently working on an orbiting space station. 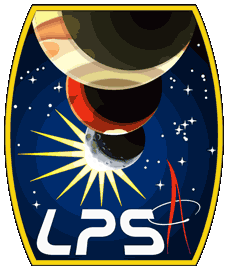 It is tentatively scheduled to be launched in 2015. 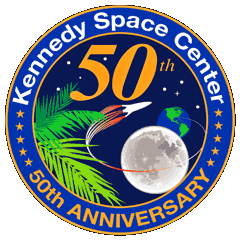 They are also working on a lunar program, which would culminate in a manned mission to the Moon in 2025. 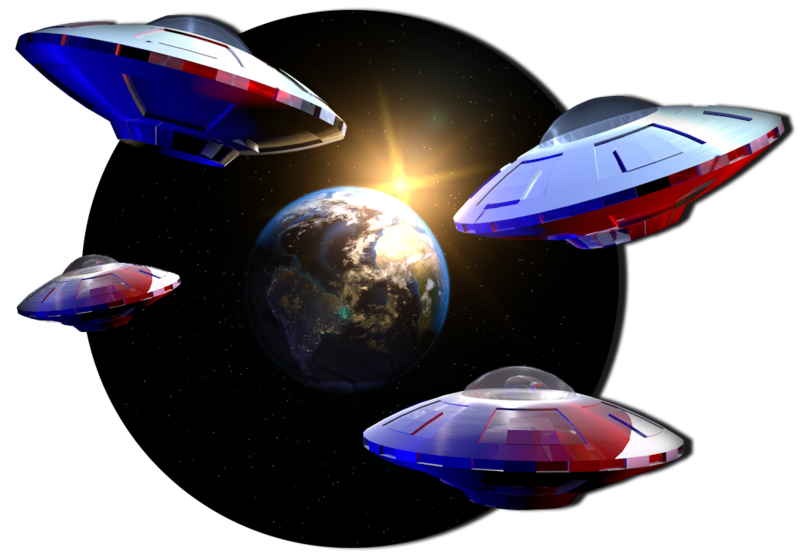 They are also looking into the possibility of a manned mission to Mars. 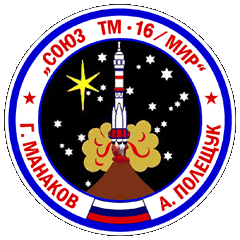 The Soyuz program was a Russian manned space program that began in the early 1960s. 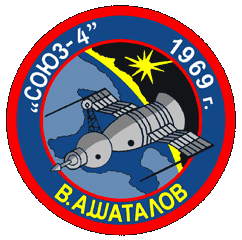 The early Soyuz program was plagued by tragedy. 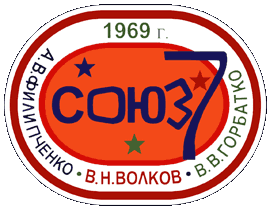 The first manned flight was Soyuz 1 which was launched on April 23, 1967. 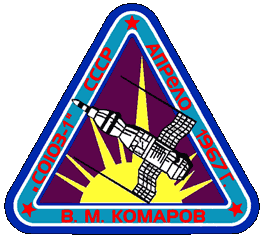 It was piloted by Vladimir Komarov who was later killed when the parachutes failed to open during re-entry. 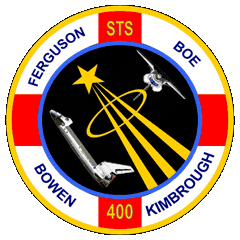 It was the first fatality in the history of human spaceflight. 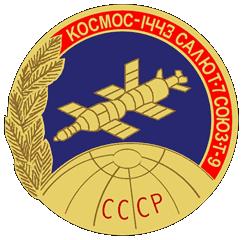 Four years later, the entire 3-member crew of Soyuz 11 was killed when the cabin depressurized during flight because of a faulty seal. 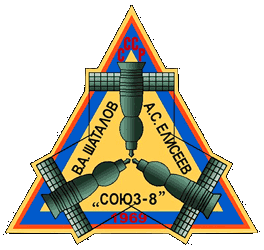 The program moved forward, and after design modifications, the Soyuz became a reliable spacecraft for transporting astronauts to Earth orbit. 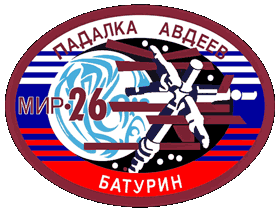 It would later be used to transport crews to the orbiting Salyut and Mir Stations and the International Space Station (ISS). 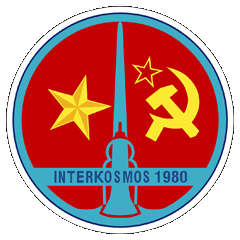 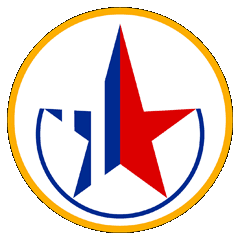 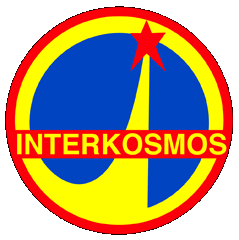 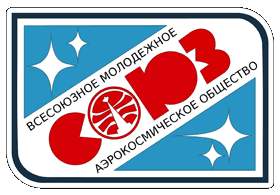 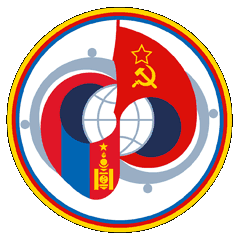 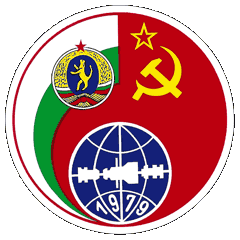 The Interkosmos program was developed during 1978 to give access other countries access to Russia's space program. 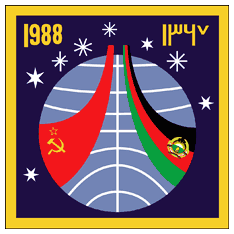 The program included allied east-European nations, as well as other socialist and communist nations like Afghanistan, Cuba, Mongolia and Vietnam. 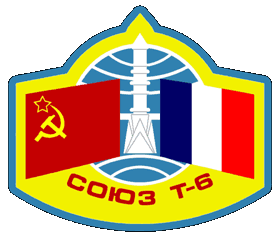 In addition non-aligned nations such as India, Syria, and France also participated in the program. 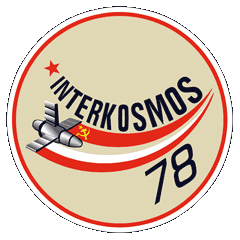 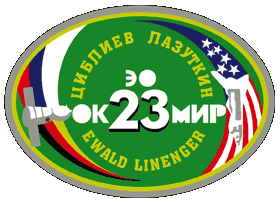 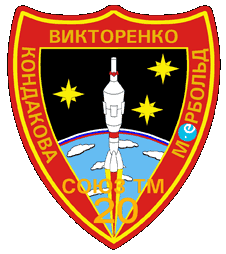 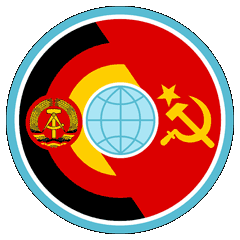 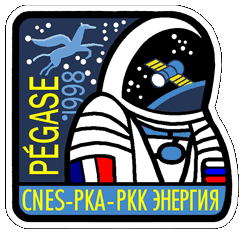 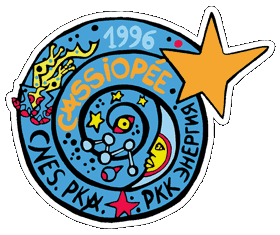 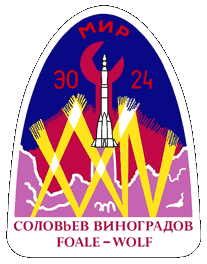 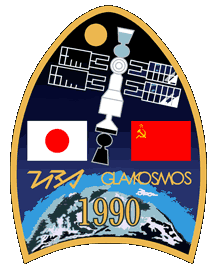 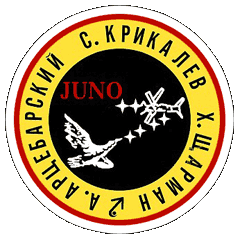 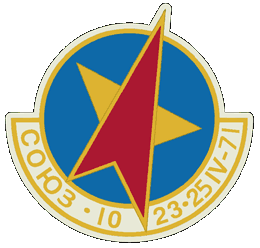 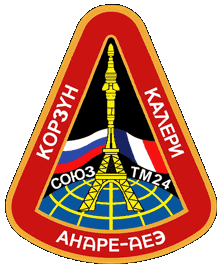 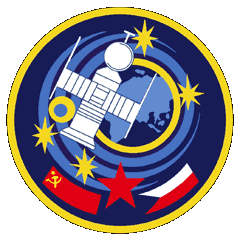 Special mission insignia were developed to commemorate the Interkosmos missions and to highlight the nations that participated in each mission. 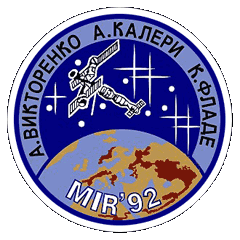 Mir was a space station that operated in low Earth orbit from 1986 to 2001. 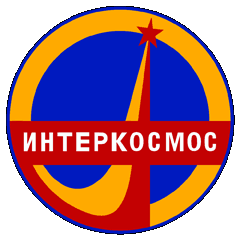 It was initially owned and operated by the Soviet Union and then later by Russia. 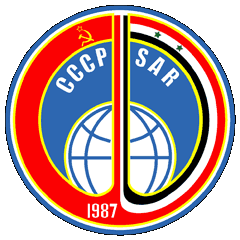 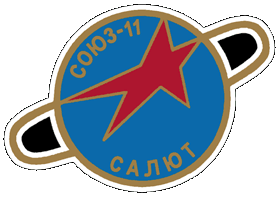 It was the successor to the Salyut program which operated 6 smaller stations over a period of 15 years from 1971 to 1986. 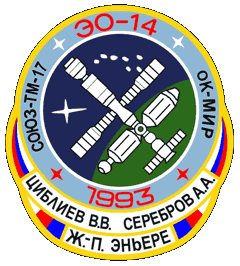 Mir was the first modular space station to be assembled in orbit. 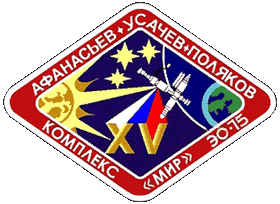 A total of 7 modules were required to complete the station. 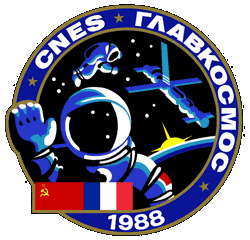 The first module was placed into orbit in 1986 and the station was completed in 1996. 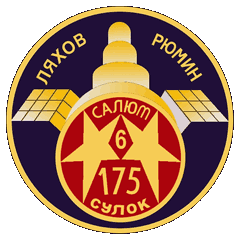 Mir held the record for the largest artificial satellite orbiting the Earth until the International Space Station was completed. 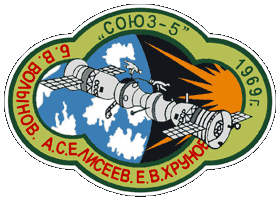 Crews were carried to and from the Mir station aboard Soyuz spacecraft. 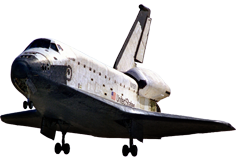 During the later years of the project, Mir was visited by a number of US Space Shuttles. 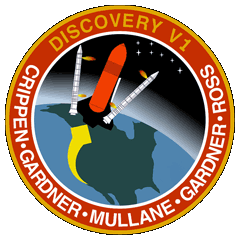 Shuttle Discovery was the first to visit the station during mission STS-63 in 1995. 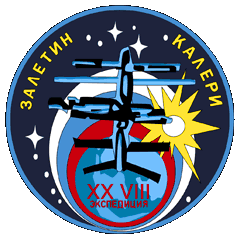 A total of 11 Space Shuttle missions visited the station during the Shuttle-Mir program. 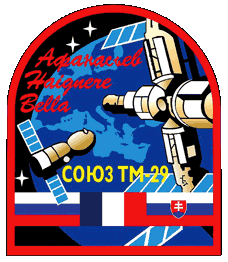 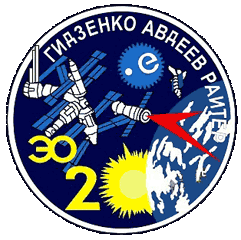 Soyuz mission TM-30 was the last spacecraft to visit the station on April 4, 2000. 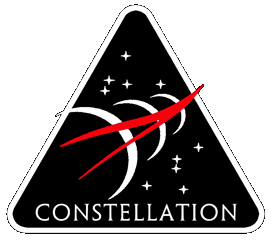 Funding to keep the aging station operational was running out. 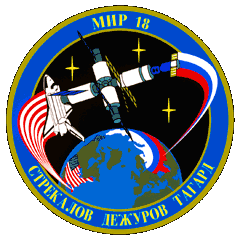 After 15 years in orbit, Mir was deorbited on March 23, 2001. 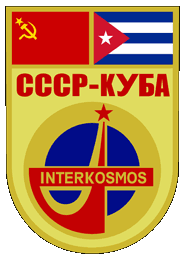 The majority of the station's fragments crashed into the Pacific ocean. 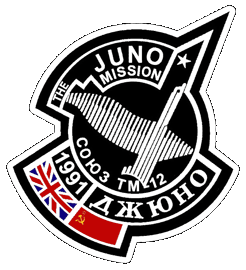 However, one small piece of the station was recovered near the city of Boston. 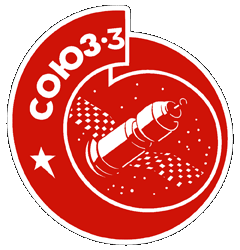 Heute waren schon 33870 visitors (72171 hits) hier!